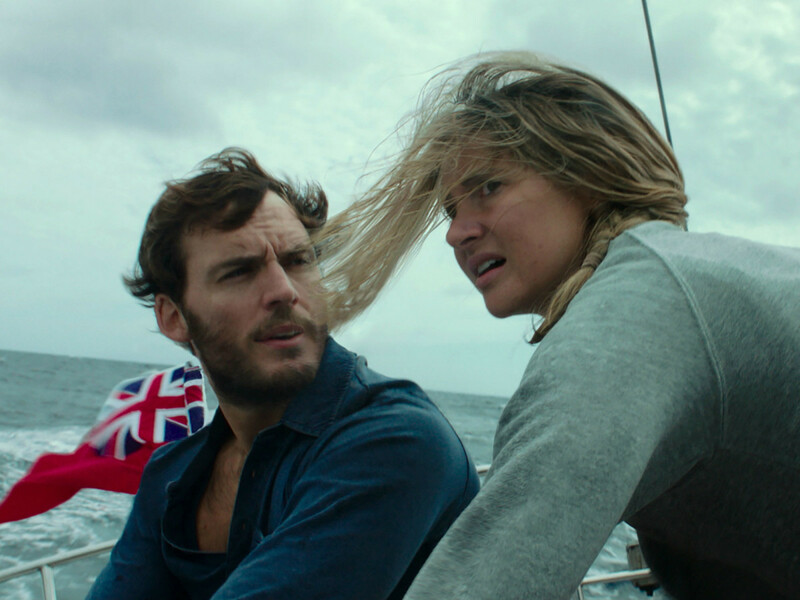 There have been plenty of movies made about being lost at sea, but relatively few give the audience the sensation of actually being out there on the open water. The claustrophobia of being on a vessel you can’t escape and the never-ending movement of the water combine for a type of terror that’s utterly unique. 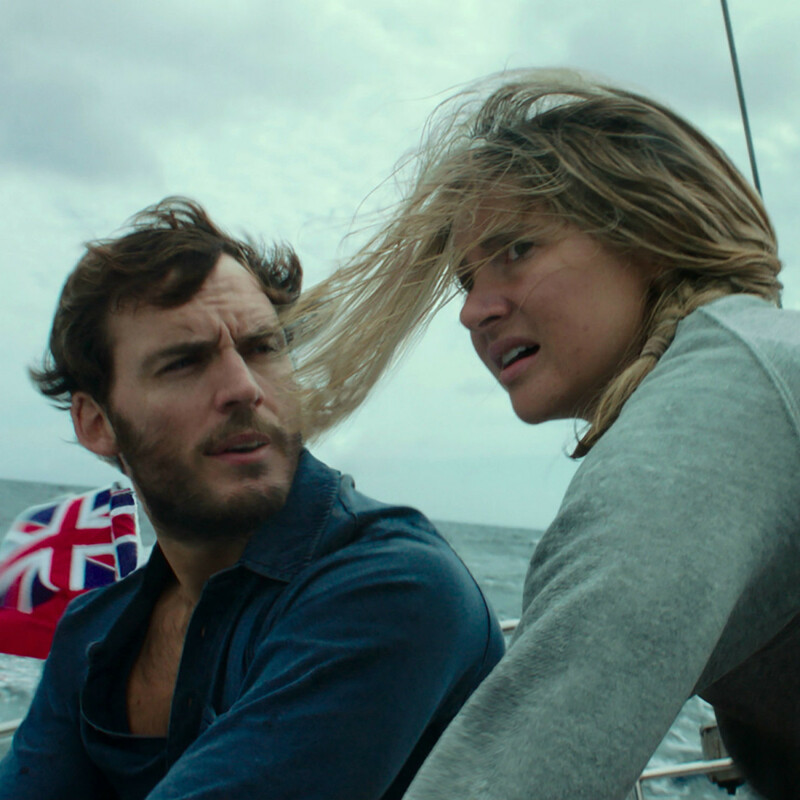 Adrift, directed by Baltasar Kormakur and written by Aaron Kandell, Jordan Kandell, and David Branson Smith, is all the more terrifying because it’s true. 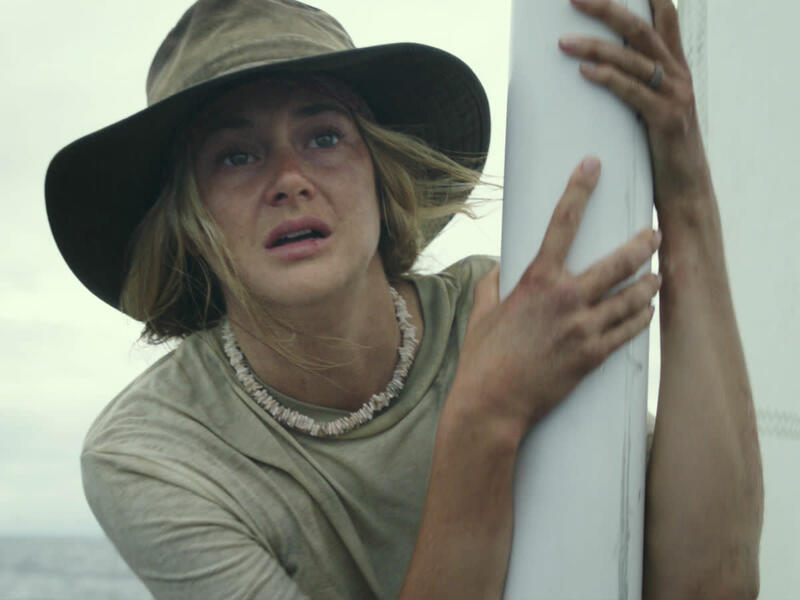 It tells the story of Tami Oldham (Shailene Woodley), an American free spirit whose world travels in the early 1980s landed her in Tahiti. It was there that she met Richard Sharp (Sam Claflin), an Englishman who had sailed around the world on a boat he built himself. After a few blissful months together, the two were asked by a wealthy couple to sail the couple’s boat from Tahiti to San Diego, a journey of more than 4,000 miles that would take at least a month. Along the way, however, they encountered Hurricane Raymond, which destroyed much of the boat and forced Tami, whose experience at helming a boat was limited, to try to guide them back to land. 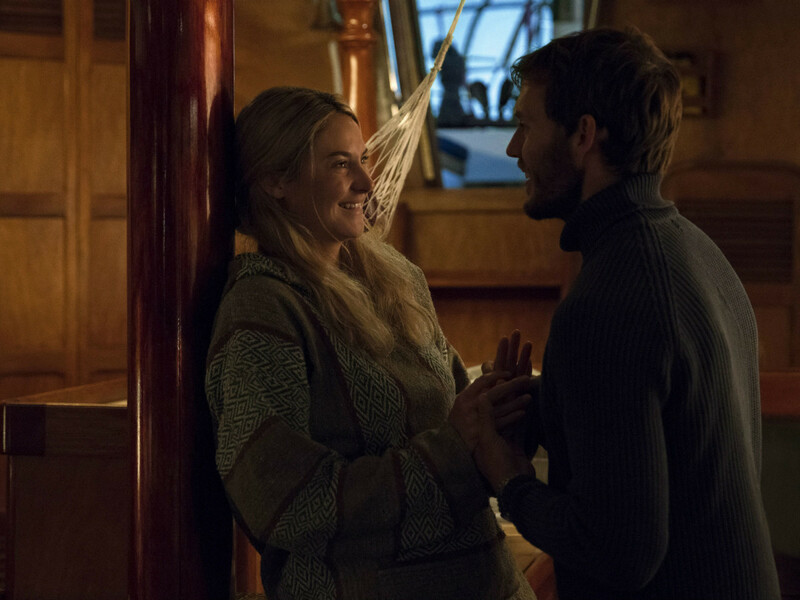 The film is told out of order, with the aftermath of the boat’s destruction coming first and then alternated with flashbacks to Tami and Richard’s time together. 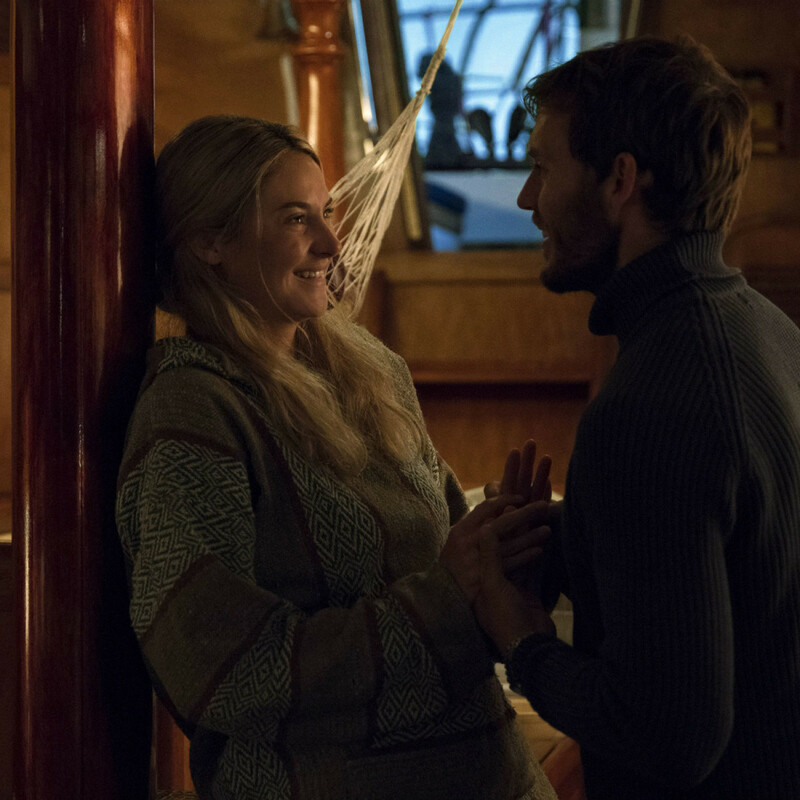 While the survival at sea is the main plot point, it is the strength of Tami and Richard’s relationship that holds it together. Although the irregular format of the film breaks up the momentum somewhat, their story and the chemistry between Woodley and Claflin still deliver a great romantic through-line. Three-time Oscar-winning cinematographer Robert Richardson turns the camera into its own character, putting the audience right in the action on sea like few others have done. The undulations of the waves, especially during the hurricane, might be enough to get some moviegoers sick themselves. While some of it is most likely simulated, enough of the time on sea feels so real that you’ll wonder how they accomplished such scenes. There is an element of the film that, given the fact that it is based on a true story, may be viewed as distasteful or disingenuous by some. As it constitutes a spoiler for those who aren’t familiar with the story, suffice it to say that the filmmakers utilize a dramatic device that works while it’s being employed, but also seems cheap and manipulative in retrospect. 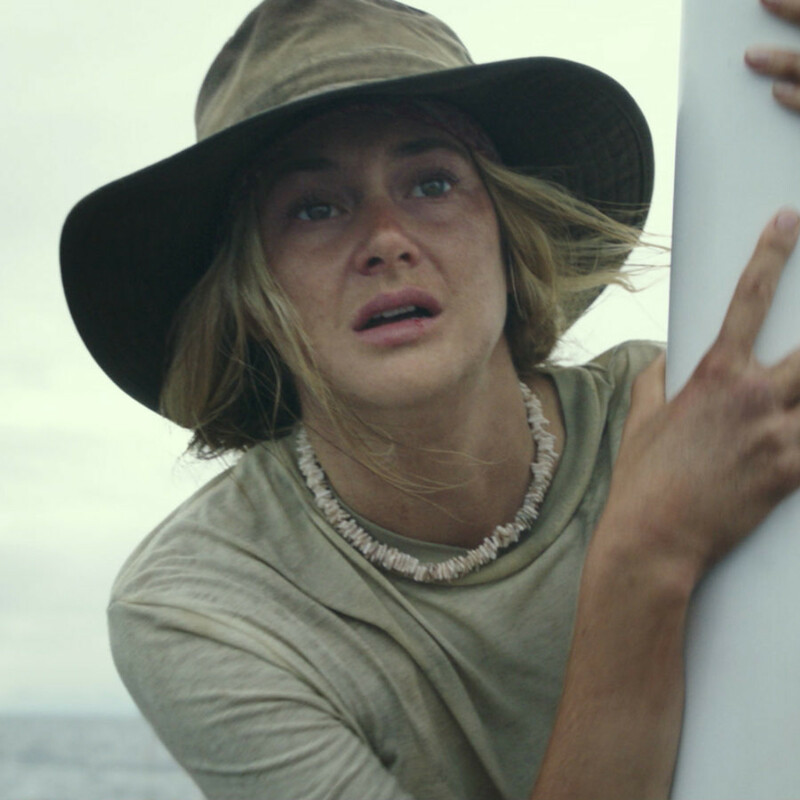 Still, the story as a whole, the cinematography, and the performances by Woodley and Claflin are enough to make Adrift a success in spite of its faults. 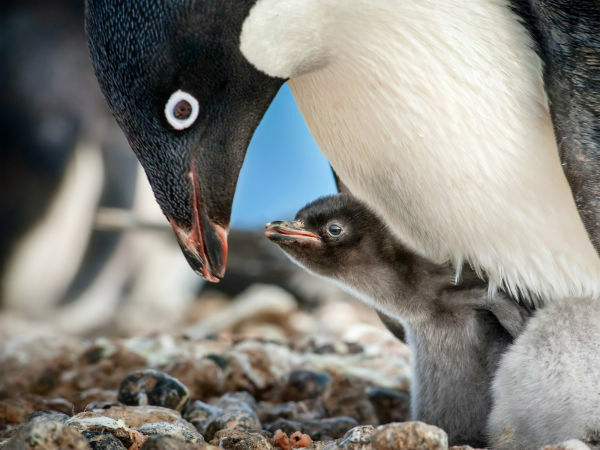 It’s as harrowing as it gets on screen, but it’s also full of love, hope, and determination.